Sometime around now, but 2 years ago, Ray and I were just getting to know each other. 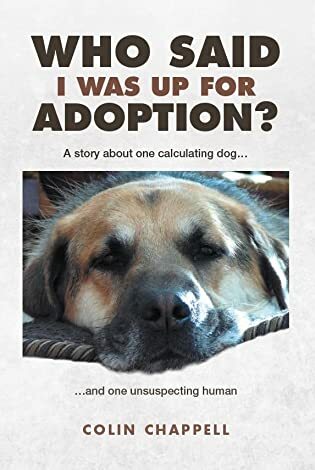 We had been considering adopting a dog from OMHS* and, in February 2013, noted Ray as a possible candidate however, given that I had been bitten by a German Shepherd many years earlier, both Carol and the OMHS people were expressing reservations about him. It was suggested that, if I really saw a possibility in having Ray live with us, then I should visit him on a regular basis so that we could get to know each other rather better before making any decision. That suggestion made perfect sense to me so I visited him on a daily basis; took him out for short walks, and let him roam in the fenced area they had. He was a very indifferent dog but, considering we didn’t know each other, I thought that was an understandable reaction. Of course it didn’t help much knowing that he would probably sense any nervousness on my part while getting to know him! From my perspective, he had a large mouth and a powerful jaw with lots of very efficient teeth to use as he saw fit, so discretion was uppermost in my mind! It really didn’t take him long to let me touch him just a little. A stroke on the side of his face or a pat on his body. This was significant to me because he had apparently displayed a distinct aversion to being touched when he arrived at OMHS. I was also pleased that he simply moved away out of range when he felt so inclined so the message that he didn’t want any more attention was extremely clear and I respected that. Soon, I was relatively comfortable with him and used to chat to him. I don’t suppose he understood any of it but at least he was getting used to my voice and certainly did not express any objections! I was just chatting away to him, and Ray was as indifferent as usual. He seemed to enjoy coming out for walks, but then seemed to just wish he was somewhere else! It was about a week later when he appeared to rediscover Ray the puppy! Up until then, his time in the fenced area was used to just wander the perimeter and watch any activity going on outside. Suddenly, he wanted to play! Suddenly, our time together was more relaxed and congenial. Suddenly, he seemed to be forgetting whatever happened in his past and suddenly, I thought, this might just work! On March 11, 2013, we completed an Adoption Request Form for Ray and, on March 15, he moved in with us. Also on March 15, 2013, our lives changed in so many ways! Yeah, surely I’ll tell my future dog all about them!! Isn’t it always the case that patience reveals rewards? Along with a side of calm determination. Maybe Ray was running you through a barrage of tests. How consistent were you? How well could you communicate and hear him? Were you truly sincere or were your manners just for the camera? I’m amazed at how beautifully animals read us, and clearly when Ray figured you out, he gave you his heart. Lucky you. Lucky Ray. Yes ………. it has worked out unbelievably well and Ray, being my first dog, has exceeded all my expectations. A wonderful heart-warming story. 🙂 How lucky for Ray that you were there, and had the patience to wait for him to learn to trust you: to let him learn to play. I know rescued dogs with a past can be very hard work, but you are repaid a thousand-fold. I think he was meant to be your dog. Look how much fun you have just writing about Ray. He is after all a very handsome dog. Excellent photo of you and Ray taken by your wife. Yes………… for all his challenges (and he had/has plenty of those), he’s a sweetheart when he chooses to be! Clearly the process works. It probably didn’t take too long before you allowed him to stroke the side of your face and pat your body? You did the best thing visiting him. I’m sure you were a pleasant routine for him and got him out of his funk. A very loving & compassionate photo. Ray really had a cute face! My mother was always nervous of GSDs until I had one. I caught her on her knees in the kitchen with her arms draped round the dog saying what a lovely girl she was. I think the regular visits you made before taking Ray home helped him accept you were going to play a permanent role in his life. Lovely photo, great dog (GSDs are one of my favourite breeds).